One of the most enduringly popular of Bach's solo cantatas, Jauchzet Gott in allen Landen, BWV 51 (for soprano, trumpet, strings and continuo), was originally written for the fifteenth Sunday after Trinity. It is thought to have been composed around 1730, during Bach's seventh year as Kantor of the Thomaskirche in Leipzig. Bach may have written the cantata text himself; it does not correspond closely to the readings for its appointed Sunday, which speak of vanity and faithlessness, hence his addition of "et in ogni tempo" (at any time) to the designation for its use. The four movements are structured in the traditional chorale cantata form. 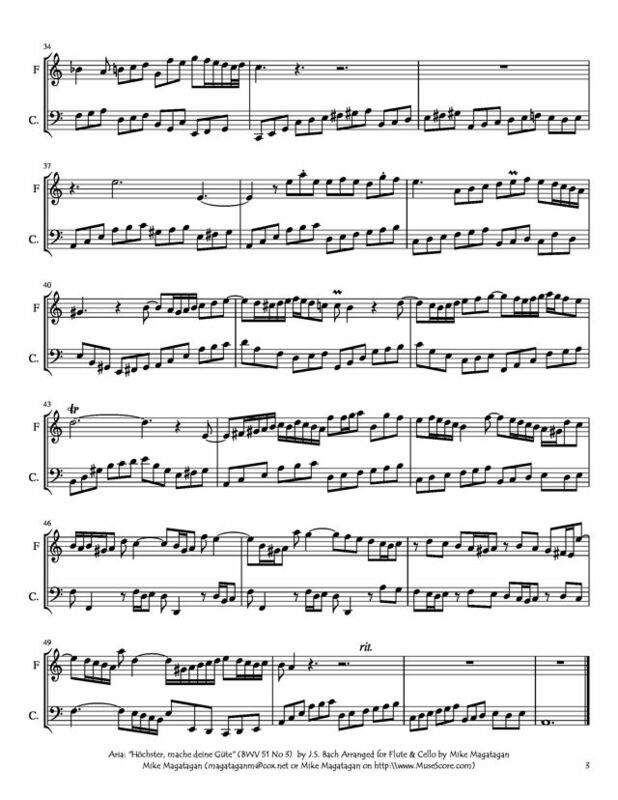 The opening da capo aria, in ritornello form, features brilliant passagework for both soloists, with a forthright, unison C major arpeggio announcing the initial, somewhat Vivaldian, theme. The intricate counterpoint between trumpet and soprano throughout the first movement is an outstanding example of Bach's writing for voice and obbligato instrument. Each of the solo lines interlocks with the other in a finely balanced duet, and abundantly illustrates the call to "praise God in every nation." 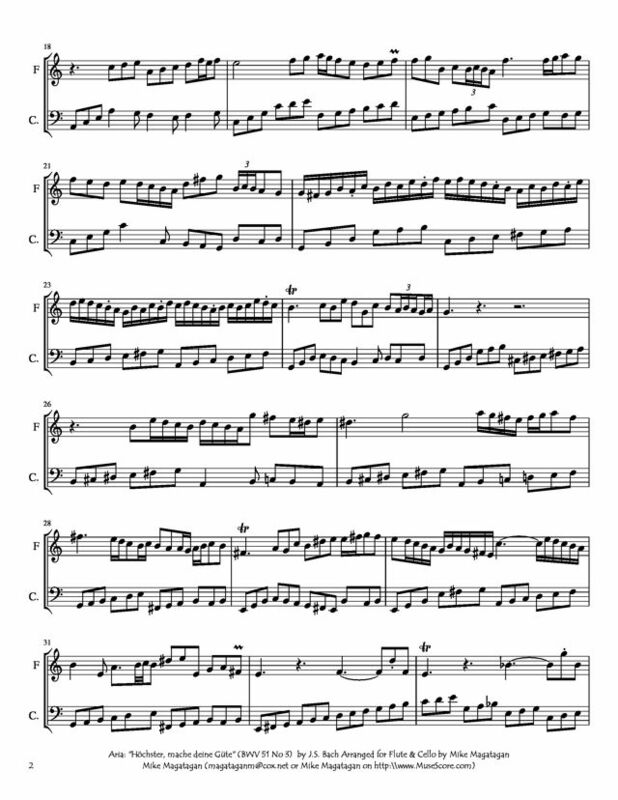 The second movement is a recitative that begins with a clear, restrained chordal accompaniment in the upper strings coupled with a bass ostinato. The soprano melody is gentle and mostly syllabic until the eighth bar, when the bassline "walks" underneath a highly ornate, melismatic vocal line. At the word "lallen" (stammer) Bach displays his interest in word-painting with a particularly elongated phrase that is both meandering and jagged. The ensuing dal segno aria, in an expansive 12/8 meter, accompanied by continuo, features a largely stepwise bassline that constantly flows upward. Although it is nominally in A minor, no hint of melancholy intrudes. The text, a prayer for God to bestow his mercies every new day, is set to a complex, wide-ranging melodic line that has an instrumental quality. Offbeats and weak beats are given particular stress in an unusual section where the bassline abruptly drops away as the vocal phrases become suddenly rapturous and quite independent of the occasional continuo punctuation. The final movement starts as a violin duet, while the soprano sings the chorale tune "Nun Lob', mein Seel', den Herren," exhorting all to "give praise, glory, and honor to Father, Son, and Holy Ghost." 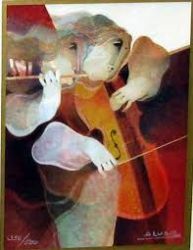 In a gracious 3/4 meter, its long instrumental sections are both playful and confident, making much of imitative passages for the violins that tumble against and tease each other. The lengthy, concluding "Alleluja," rejoined by trumpet, is a noteworthy example of the virtuosic demands Bach often places on soloists. Its rollicking exuberance lends a particularly joyous tone to the cantata's conclusion. 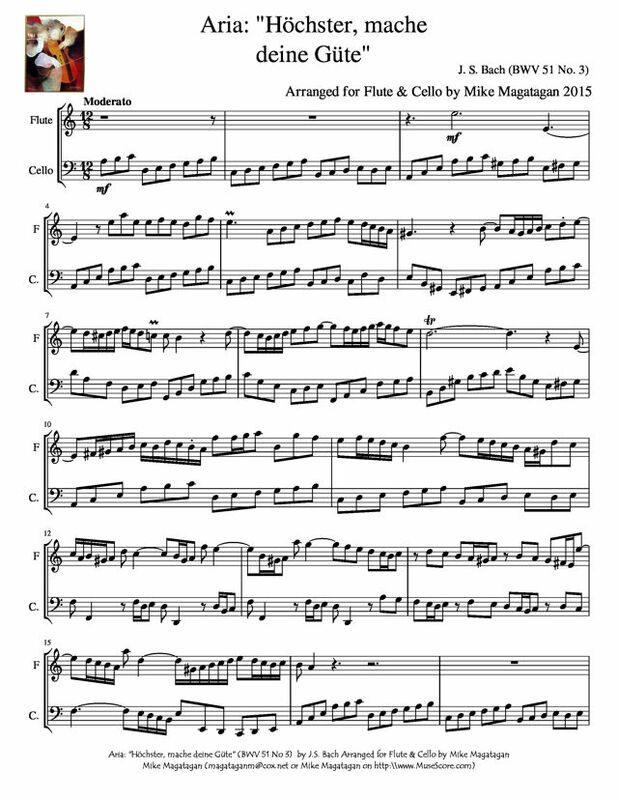 The cantata in five movements is scored for solo soprano, trumpet, two violins, viola and basso continuo. It is the only church cantata by Bach scored for solo soprano and trumpet. I created this arrangement of the second Aria: "Höchster, mache deine Güte" (Highest, renew Your goodness) for Flute & Cello. A very beautiful Aria, very pleasant to play with the flute and the cello thanks to Mike's arrangement !